​​Renovus has installed thousands of solar energy systems throughout the state, heralding the clean energy revolution. In the early years, with a handful of dedicated staff, the company worked out of a small, 1,000 square foot combined office-warehouse one-stop-shop on Cherry Street in downtown Ithaca. Over the next decade, as solar popularity grew, so did we. By 2013 we had to rent additional warehouse space for our installation crews to work out of down the road by Friedman Electric, and additional office space for our growing team. It was clear we needed a bigger facility where our entire company could be housed, and with space to keep growing. 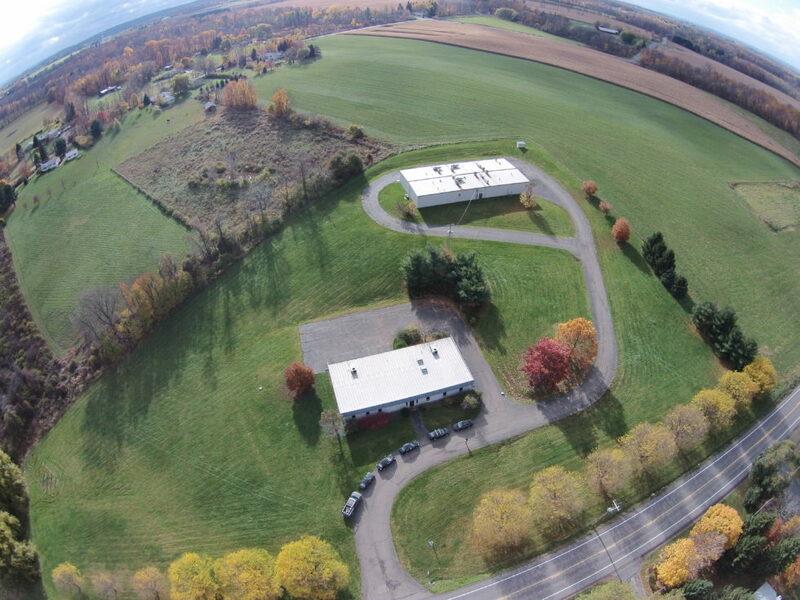 ​​Located at 1520 Trumansburg Road in Ithaca, from ISA Babcock Breeders Inc. Built in 1991, the former chicken breeding and processing facility sat dormant for years. We certainly had our work cut out for us, with plans to renovate the buildings into a net-zero (producing as much energy as we consume) hub for solar project deployment. 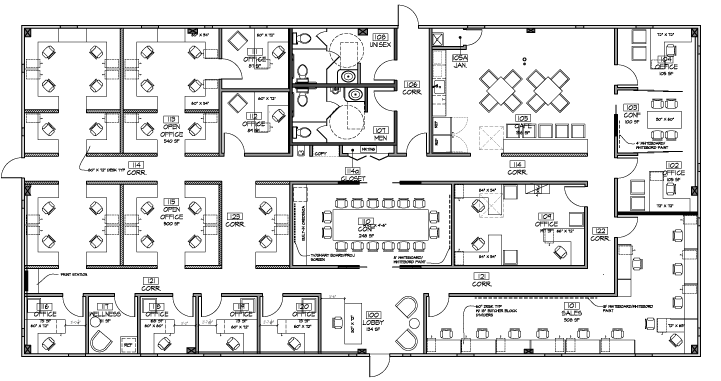 The campus consists of two buildings which we completely gutted, remodeled, and modernized. The front office building was retrofitted to house our project development teams, sales and marketing, and administrative departments. 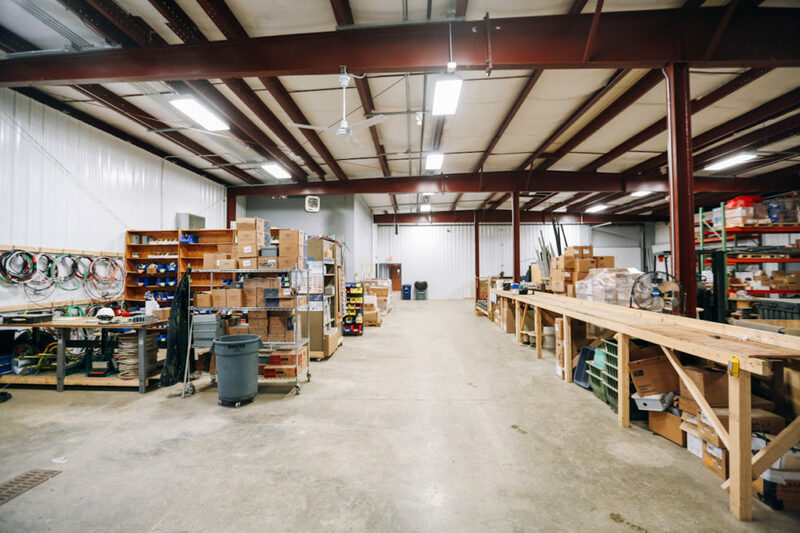 The back building was upgraded into a state-of-the-art warehouse for our engineers, materials procurement, and installation teams. 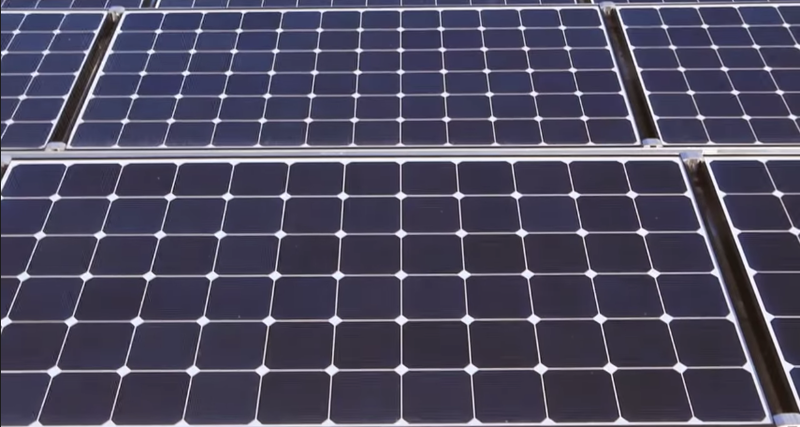 ​We wanted a solar​ powered campus. 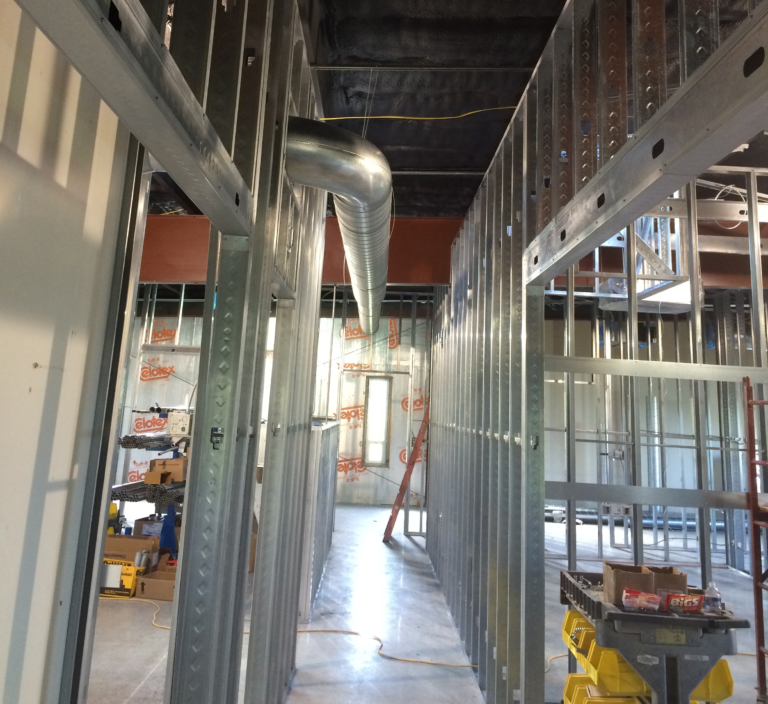 ​So we disconnected the buildings from natural gas service, upgraded the electrical systems, ran all new fiber optic cables, and added a 200-amp service to the front office. 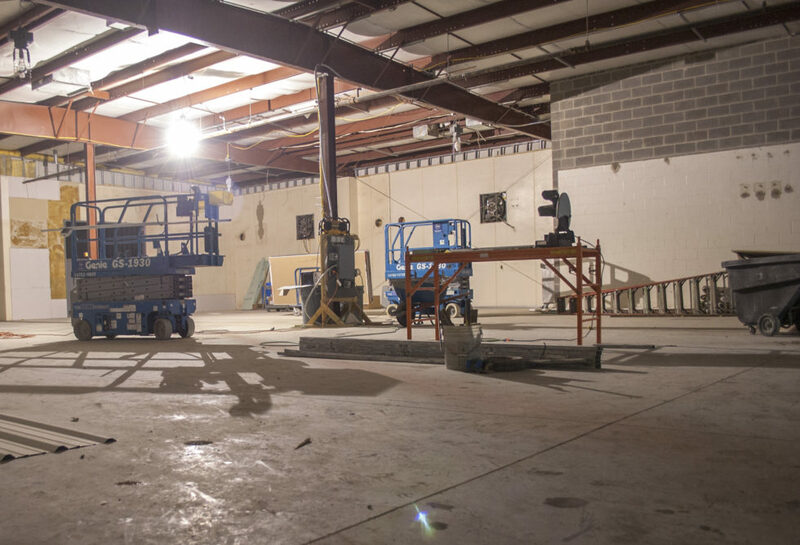 We installed an advanced HVAC system, including air source heat pumps, fully spray-foam insulated the buildings, and updated all the lighting to LED. 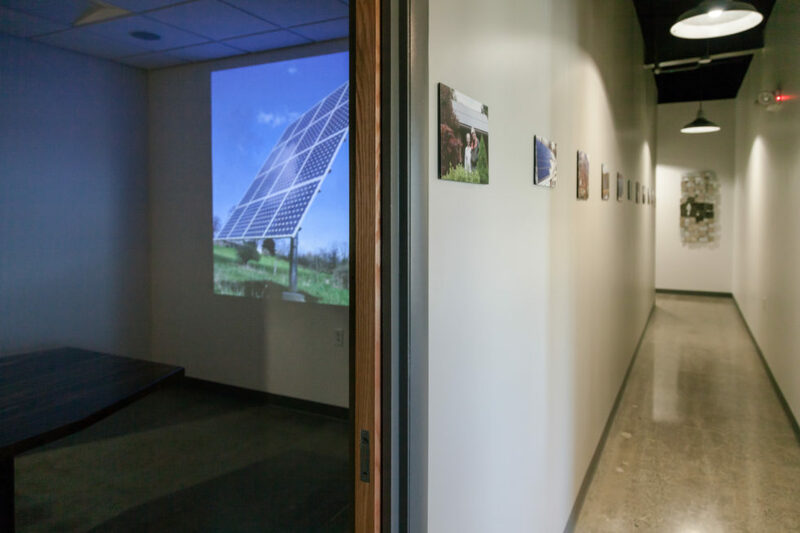 We designed these systems with exposed components so that visitors can see what net-zero facilities look like. We invested in employee comfort, adding sound dampening features, an open plan office, ergonomic work stations for project preparation, a wellness room, communal kitchen spaces for gathering, and homemade desks and furniture. ​​Then our renovations hit a major roadblock. ​The original plan was to cover the buildings’ rooftops in solar panels, which a preliminary engineering report said was possible. But once it came time to install the solar system, a second opinion engineering analysis revealed that in fact the buildings lack the structural capacity to hold panels. Rooftop solar would not be possible. The only open land on our campus available to install a ground-mounted solar system is a leach field not suitable to house solar panels. 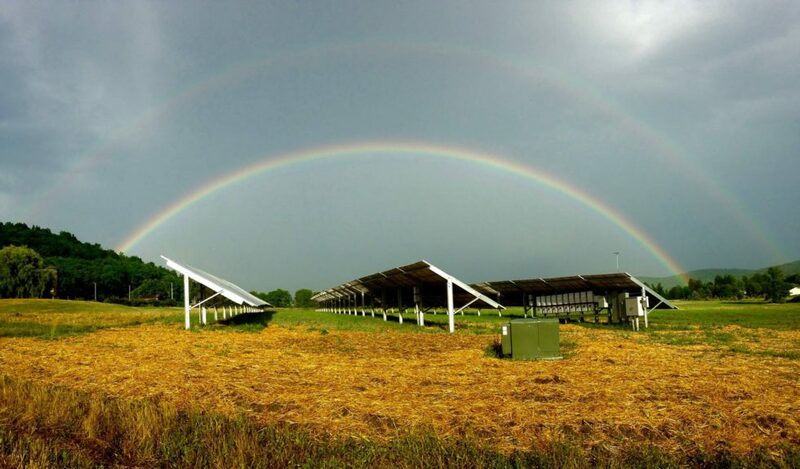 This left us with a conundrum – would we be a solar company that couldn’t go solar? ​​That makes going solar possible for everyone who uses electricity, regardless of their site – Community Solar. 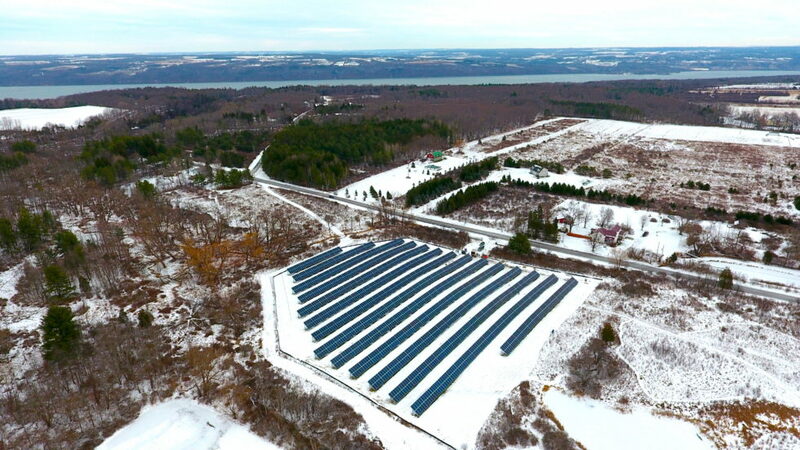 Sometimes referred to as solar farms or shared renewables, Community Solar projects are solar systems located on perfect local sites that generate electricity for many households and businesses. 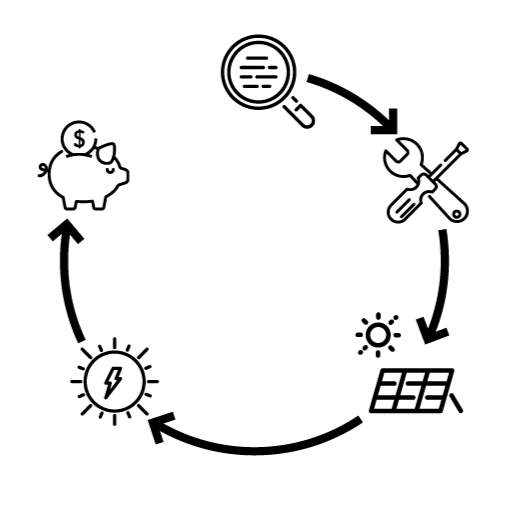 Community Solar projects generate clean power by converting sunlight into usable electricity that flows into the utility grid to offset households and businesses’ need. ​Now, Renovus both runs on the sun, and helps thousands of New Yorkers do the same. ​​We​​​ love our new campus, and we're proud to call Ithaca and Ulysses our home. Our commitment to local labor, local investment, and helping our neighbors save money has helped Renovus grow steadily since we moved in 2013. Today, there are over 50 employees that work for Renovus at any given time of the year, and when the sun is shining and we're helping our customers cash in on that free energy we have as many as 70 people working from our new campus. We hope that sometime you stop by and say hello! You'll always be greeted with a smile. ​As we grow, our team learns more and more about how to make solar simple and affordable for our customers. We hope that this story has shown you a bit into our commitment to solar power, and finding creative solutions for complex problems. If you want to see how we will make solar simple for you and your family, get a free quote today! ​There has never been a smarter time to go solar. prices are low and incentives are high; grab your piece of the savings today.